Bullying is not acceptable. Not in middle school. Not on the playground. Not at work. You know the feeling: the bully appears out of nowhere. Your peaceful day is about to be shattered. This has happened everyday this week. Hateful, rude remarks have a way of cutting us. We start to believe them, true or not. 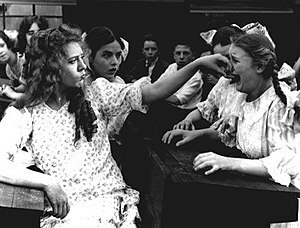 You would confront the bully who tried to do this to your best friend. You would be brave because she is worth it. But this is different. Think about the conversations you have inside your head today. What do you say to yourself? Are you kind? Encouraging? Harsh? Accusing? Are you a bully? Stop yourself the next time. You are worth it.